Getting set for the 2018 Sperrins and Killeter Walking Festival are, from left, Josefin Koehler, Lawrence McBride, Far and Wild, Ashleigh Devine, Festival and Events Officer at Derry City and Strabane District Council, Eamon Dolan, Gordon Spears and Councillor Kieran McGuire. 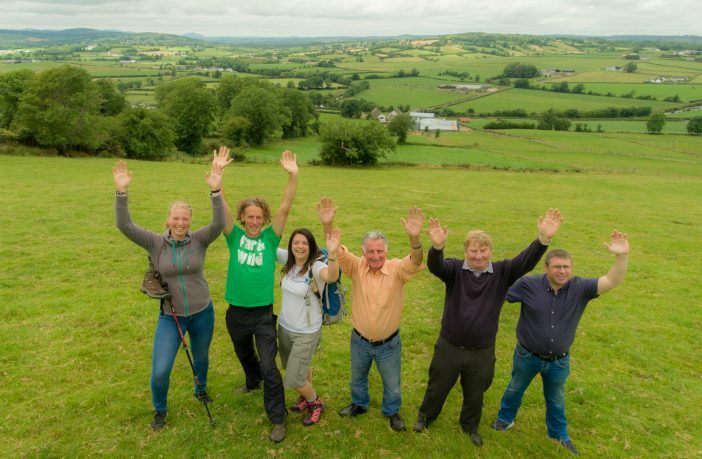 The 2018 Sperrins and Killeter Walking Festival are inviting the public to take a ramble along Tyrone’s land border with Donegal and Fermanagh and explore the history and stories behind our local boundaries. The ‘Beyond Borders’ walk will leave Killeter Community Hall at 9am on Saturday September 22nd and take walkers on a seven hour trek that will follow the border in many sections and explore if the past has any answers to the border question in the current Brexit process. Festival Walking guide and Director of Adventure Specialists Far and Wild Lawrence McBride said the event is an ideal opportunity to become more aware of the physical aspects of the border and the new challenges that Brexit may present. “We want to take a ramble through the broader hinterland of the border and take a look at the story of the landscape to see if it is still possible to live beyond borders in a shared space and place,” he said. “We have walked this route in previous years and focused on the pilgrimage aspect but given what has developed with Brexit in recent years we have decided to look at the border issue and the idea of what a border really is. 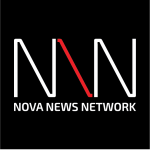 “We will be asking the question if the border is more something that exists in people’s minds or if it is more physical than that? While the border crossings at main roads are familiar to most of us, Lawrence says the walk is a chance to get off the beaten track and explore some of the borders’ hinterland and lesser known sections. “The Killeter area doesn’t have that many trails in it so when you are rambling you come across areas that are quite untouched,” he noted. “There are forests where you can see the mushrooms have been nibbled by deer and there is some really interesting architectural heritage there that hasn’t been explored such as a Neolithic site that is quite similar in scale to Grianan Fort in Aileach. As well as the Brexit angle, the 14km walk will also explore the topography of the area and how it contributed to the mapping of boundaries. “In the case of the river Foyle, the border runs down the middle of it until you get to Derry City but when you come further inland the border is often marked by certain valleys or ridges where topographers found a feature to mark it in the land,” Lawrence explained. “We will take a look at those markers and explore the rationale behind why they were used to mark boundaries. “We’ll be taking a look at the background of maps and pilgrimages, Lough Derg appeared on maps long before Belfast and Dublin which shows how significant a place it was in the past. The Beyond Borders walk is one of a number of new routes at the Festival that will explore the nature and history of the area. 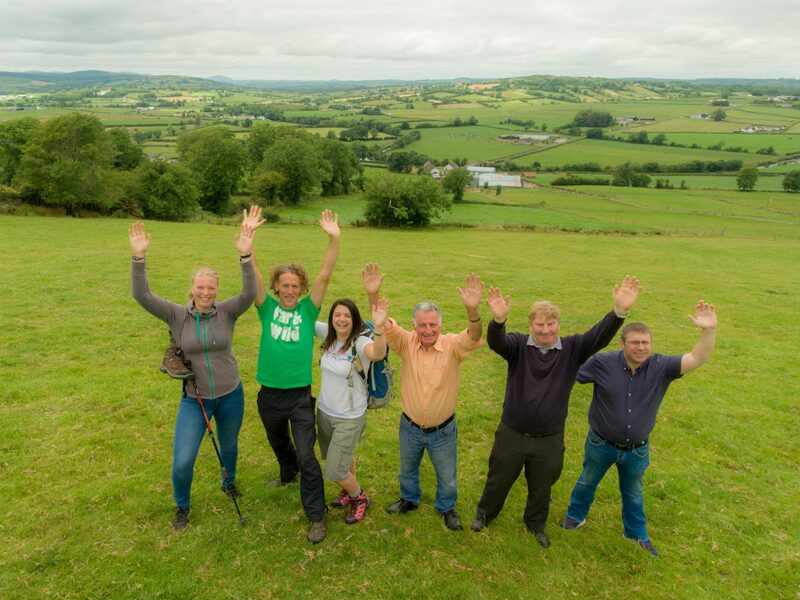 At 10am on Saturday September 22nd, the ‘Local and Neolithic Walk’, rated as ‘moderate’, will leave Killeter and take in a range of interesting sites around the townland from the period when Ireland was settled by its first agrarian inhabitants. Finally on Saturday, ‘The Bright and Beautiful Walk’ will celebrate the 200th anniversary of the birth of Mrs CF Alexander and is named after her most famous work ‘All Things Bright and Beautiful’. Mrs Alexander lived in Killeter from 1850-55 while her husband was curate in St Bestius Church of Ireland and the four churches in the area have come together to create four community gardens in their grounds which are all included on this ‘moderate’ walking route which will leave the Heritage Centre at 12.30pm. The Killeter section of the festival will coincide with the Killeter Fair in the village om Saturday and walkers can sample a wide variety of entertainment and activities including music, turf cutting, music and a vintage parade. On Sunday the action moves to the Sperrins and the picturesque village of Plumbridge where three more walks will leave from Watt’s Bar on the town’s Main Street. The ‘Jewel in the Crown of the IAT’ at 9am is a challenging route that will explore Sawel Mountain – a peak that is visible from counties as far flung as Down and is the highest mountain along the route of the International Appalachian Trail. At 10am the Craignamaddy Nature Walk is a 10k hike that explores the ridge that rises between the Glenelly and Owenkillew Valleys and will be led by an expert in Flora and Fauna who will focus on the areas’ unique habitat. Finally the family friendly Vinegar Hill Charity Walk in aid of Rural Support sets off from Watts Bar at 1pm and will be guided by local walkers and walking enthusiasts who will provide some appetising home grown hospitality along the way. Registration for the Sperrins and Killeter Walking Festival is open now at http://www.sperrinskilleterwalking.com/ where full details of each walk are available.